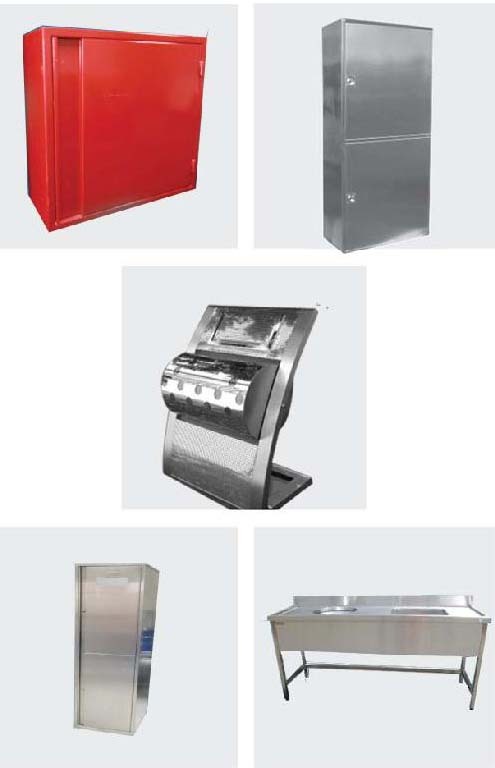 Covers a wide range of products like stainless steel decorative air conditioning grills, light decors, column cladding, lockers, trolleys and carts, storage trolleys, industrial platforms with safety guard rails, water features, corner guards, clinical tables. Our well-equipped factory with highly skilled personnel and sophisticated machinery boosts the efforts of our site installation team. 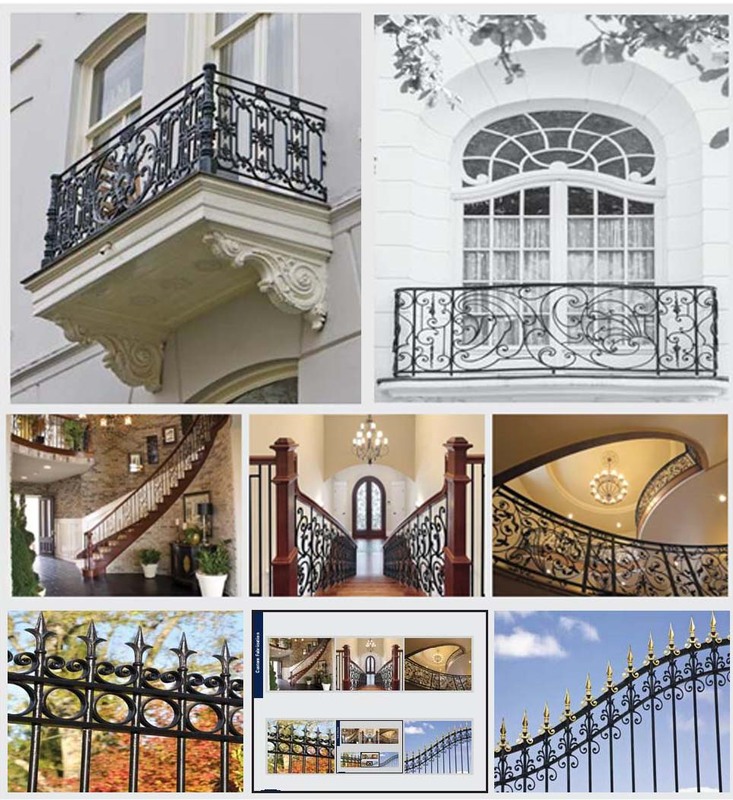 Our custom made stainless steel railings are professionally designed with a premium finish. Hand Rails are made of Stainless Steel 304/316 Grade in polished, brush and gold-plated finish. Decorative hand rails are widely used in areas like stairs, balconies, shopping malls, villas and guard rails for ramp areas, swimming pools, etc. 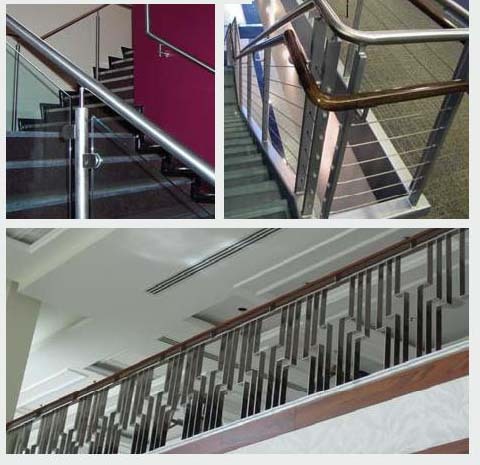 Hand rails are supplied in diameters to suit requirements. 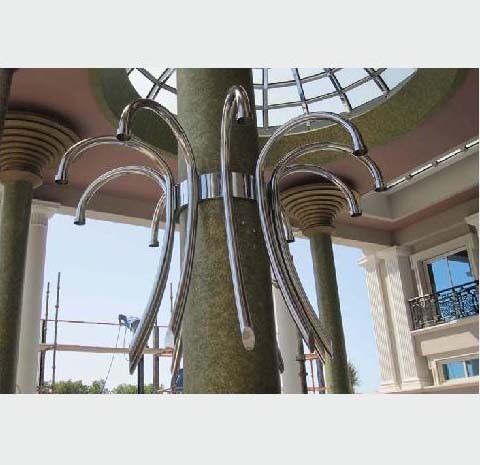 Custom made Decorative Light Fixtures are made of stainless steel pipe, in mirror polish, brush or gold-plated finish to suit site requirements. 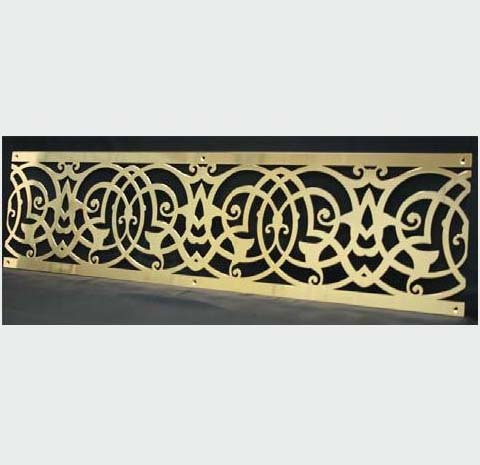 Specially designed decorative AC Grilles are made in stainless steel or brass to enhance the aesthetics of air inlets and outlets. Brush, polished or gold-plated finishes are available to suit site requirements. 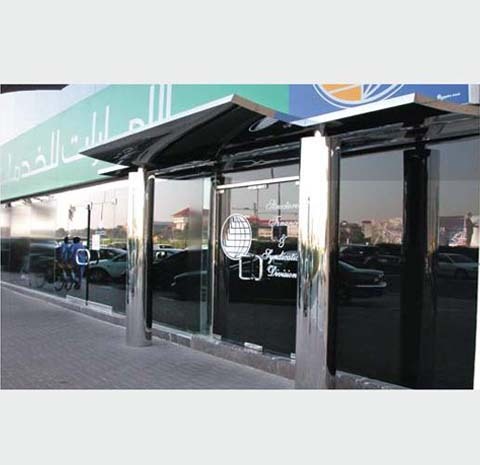 Light-weight custom fabricated Canopies and Claddings are made to enhance the entrance area of the buildings. Concrete pillars or steel columns also can be cladded with stainless steel sheets to improve appearance. In special cases, backing framework with backing sheets are provided to give sufficient support to cladding sheets. High quality Stainless Steel 304/316 Grade is used for cladding. 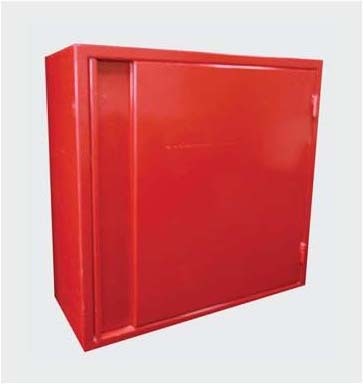 Fire Hose Reel Cabinets are made in galvanized steel or Stainless Steel 304/316 Grade. Cabinets are available in surface mounted type for external use or flush type for walls. Available in single or double door design. Cabinets are powder coated or brush, and polished stainless steel. 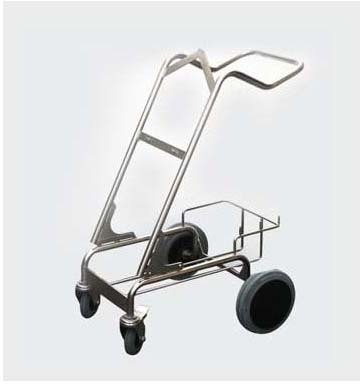 Trolleys are made of Stainless Steel AISI 304/316 Grade for commercial applications. Fitted with castor wheels and suitable for easy handling. 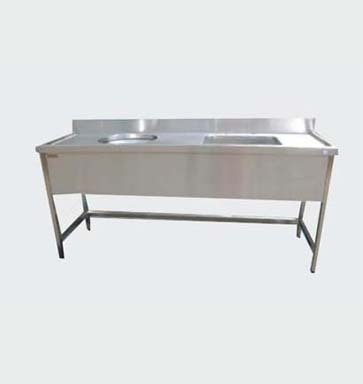 Food trolleys, general purpose platform trolleys & custom made trolleys are available. 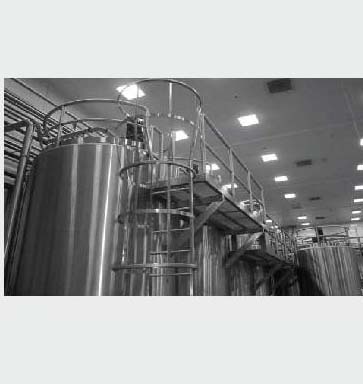 Stainless Steel Platforms with ladder are used where safety is a concern. These are tailor-made to suit site requirements. Safety guard rails, ladder and safety hoops are standard features of the design. Stainless steel mesh gratings are used on the walk area. 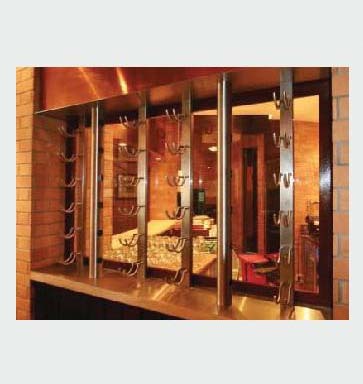 Bottle Holders are used in bars and industrial kitchens. These are made of Stainless Steel AISI 304/316 Grade, in brush, polished or gold-plated finish. 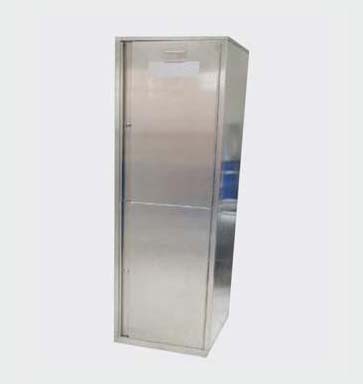 Lockers are made of Stainless Steel 304/316 Grade with brush or polished finish. Available in single compartment or double compartment. Doors are fitted with piano hinges or concealed hinges and are secured by cam locks. Compartments are fitted with coat hangers. Clinical Tables are made from Stainless Steel 304/316 Grade. These are fitted with one standard bowl and one conical shaped bowl. The conical bowl will have internal water spray arrangement. Sink tables are mounted on heavy duty legs fitted with levelling feet. © Copyright 2019. Ostermeier FZE All Rights Reserved.